Matching bookmarker included when purchased here. 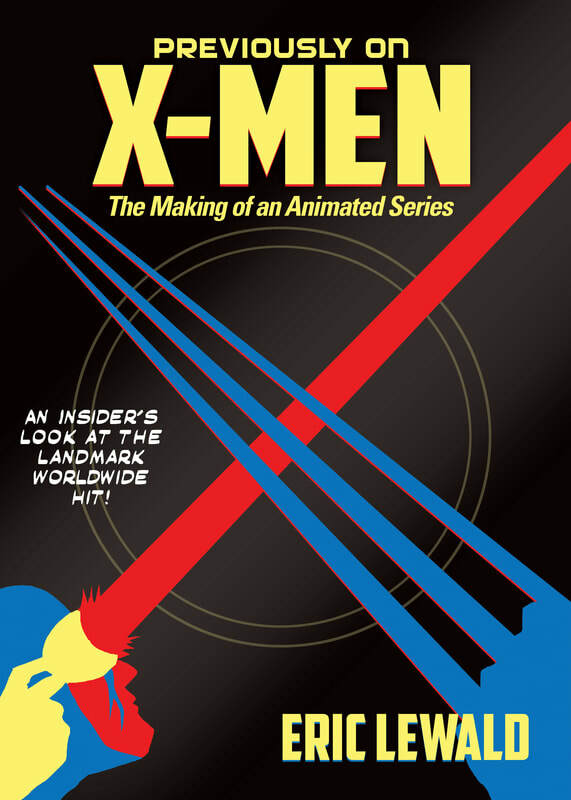 In late 1992, on small budgets and under tight schedules, the cast and crew of X-MEN: The Animated Series crafted a television show that, despite an industry full of naysayers, immediately shot to #1. This “kids' show” often landed more than half the TV viewers across America, and a twenty-year gold rush of Marvel motion pictures and TV series followed. 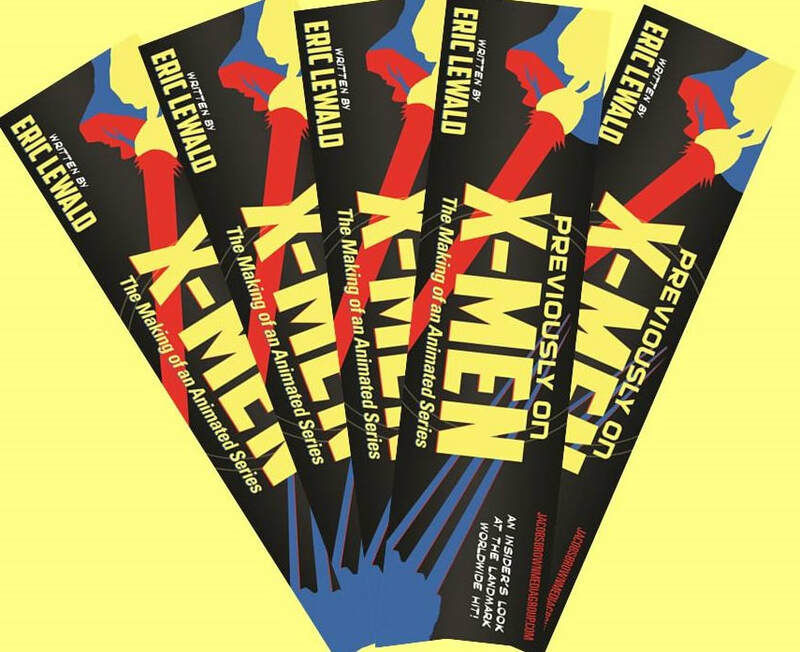 Previously on X-Men is Eric Lewald’s personal, inside account of how the series got on the air, the many challenges that were overcome, and how the show prevailed. The head writer interviewed 36 of the artists, writers, voice cast, and executives who helped make this game-changing series a worldwide success. 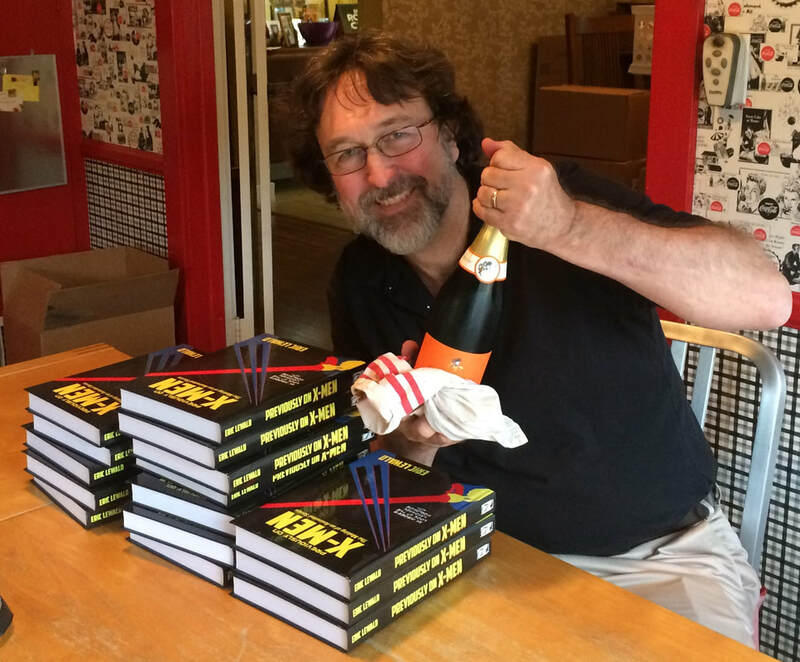 This book is an authoritative look into the creation of the animated series that nobody expected to succeed. 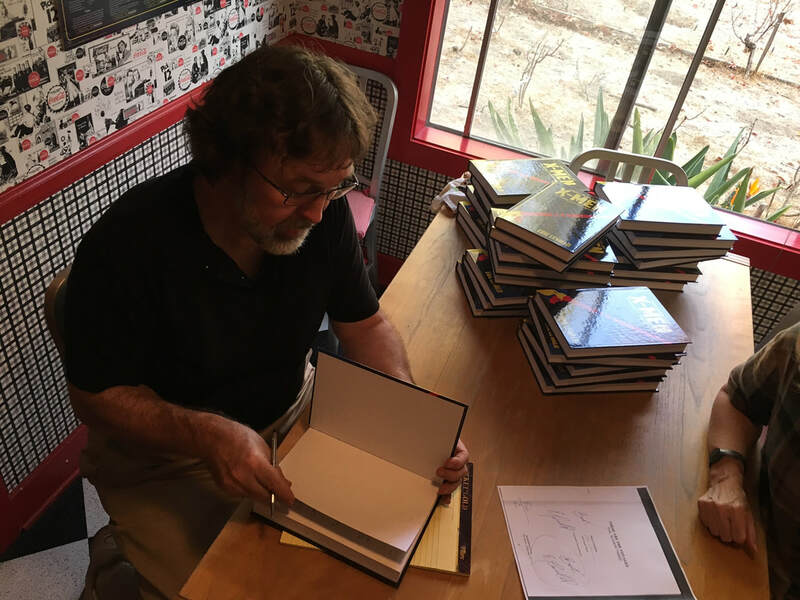 Lewald offers a unique behind-the-scenes look at the Saturday-morning cartoon series that changed Hollywood, and he includes over 100 photos and story boards from his private collection. *Books purchased from AMAZON are NOT SIGNED and DO NOT include matching bookmarker. 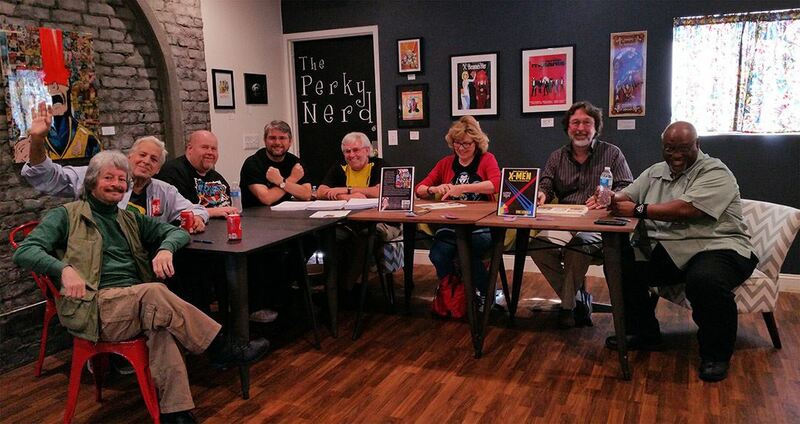 Celebrating the arrival of "Previously on X-Men"
Eric Lewald is joined by writers and producer/director at the Perky Nerd Comic Book Store to celebrate the 25th anniversary of X-Men:TAS with panel discussion on the making of the animated series. Great time for everyone who attended. 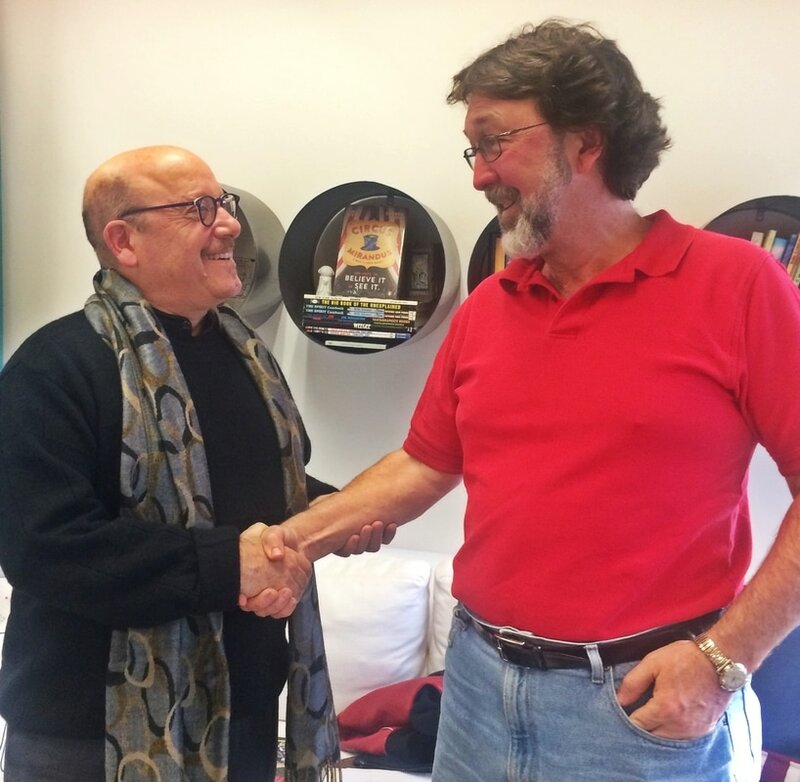 Eric Lewald (rt), pictured here with Steven Kates, Director of Operations for Jacobs/Brown Media Group, after contract signing. 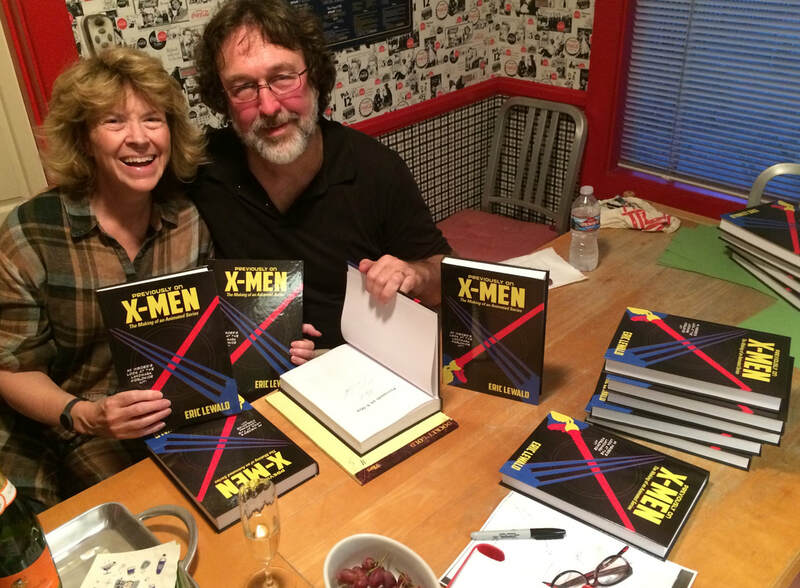 Jacobs Brown Media Group/Jacobs Brown Press is pleased to announce its collaboration with Eric Lewald to publish his first book, Previously on X-Men: The Making of an Animated Series. Lewald was the story editor, writer, and show runner for the popular TV series for its 1992-1997 duration. Featuring Lewald's behind-the-scenes insight and exclusive memories of the production, the book has a scheduled release for fall, 2017.